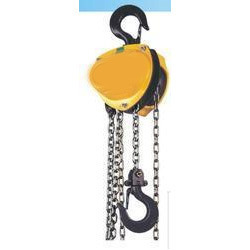 In order to attain maximum client satisfaction, we are specialized in providing an optimum quality range of Indef Chain Pulley Block to our patrons. Our offered products are manufactured by vendor’s team of experts for making the work easier. This offered block is highly demanded by our patrons for its excellent working performance and long service life. Additionally, we offer this block at industry leading prices. We have started our enterprise in the year 1989, at Vadodara (Gujarat, India), we “Ambica Enterprises” are prominent Trader, Exporter and Supplier of a high-class assortment of various Drill Machines, Tapping Machine, Lathe Machine, Sheet Metal Working Machine, Wooden Cutting Machine, etc. We have established our business as Sole Proprietorship firm in this domain by offering high quality product range under the brand names of Bosch, Spapk, Gweld and Meranda Tools. We are exporting the products at the countries like South Africa, Bangladesh, Turkey, etc.Our offered products are procured directly from most trusted vendors of the market who manufactured them using best quality materials with the aid of latest technology in compliance with set industry standards. The offered machines and tools are highly praised by our respected patrons for their features like less maintenance, high strength and high performance efficiency. Additionally, we provide offered machines and tools in several sizes and other technical specifications at market leading prices to the clients.